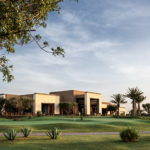 The Royal Palm Golf & Country Club spreads along the banks of Ghord’s Wadi, resembling an oasis within the spacious grounds of Domaine Royal Palm. 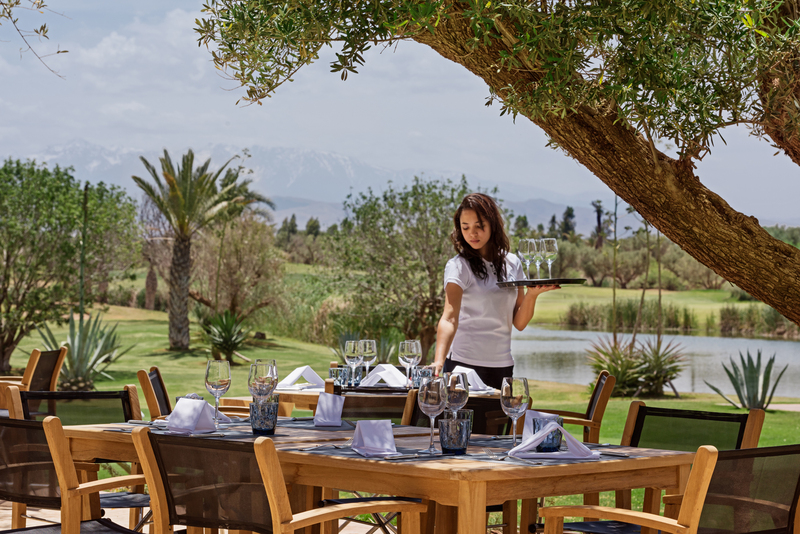 Dotted with aged-old olive trees at the foot of the snow-capped Atlas Mountains, it counts among the most beautiful golf courses in Marrakech. 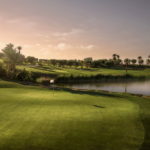 Royal Palm Golf Club offers a unique combination of luxury and sustainable development. 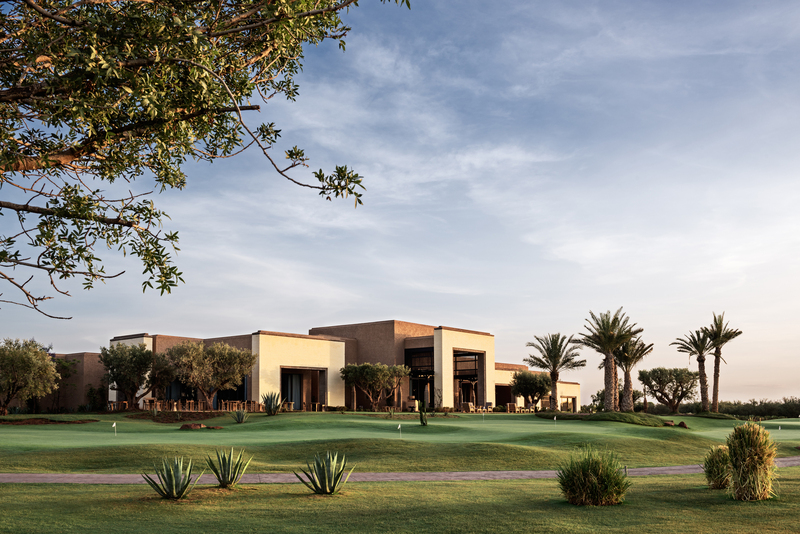 Lined with bougainvilleas, laurel roses and hibiscus shrubs, the golf course is sparked by vibrant colours set off by the silver shades of centuries-old olive trees. Acting as a showcase for the native flora, the Royal Palm Golf Club resembles a spectacular garden that changes with the seasons. This luxuriant oasis is watered by a sophisticated and sustainable irrigation system. 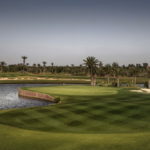 The Royal Palm Golf Club is a pioneer in Morocco when it comes to sustainable approach towards golf. Indeed, the 18-hole golf course was designed with the utmost care for water resources and local vegetation. Another characteristic is that the fairways and greens are planted with a quality of turf unique in Morocco. 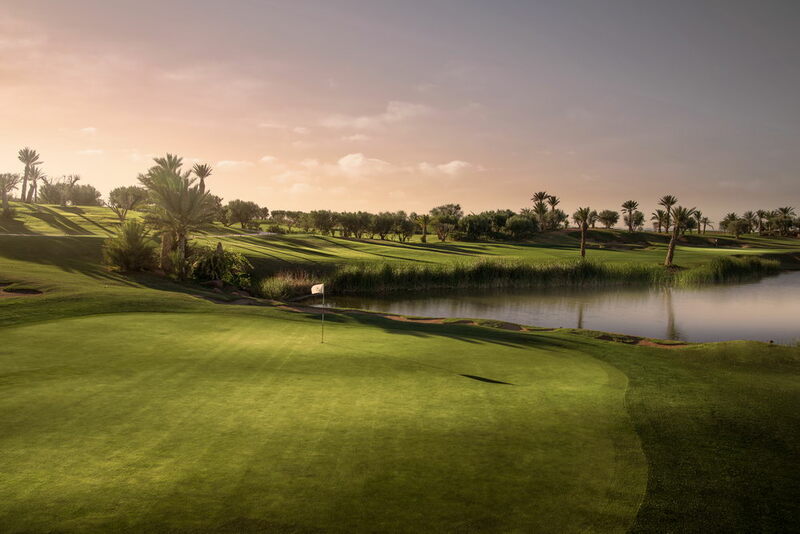 Royal Palm Golf Club is undoubtedly one of the best courses in Marrakech, with its lovely setting in front of the Royal Palm Hotel and its views up to the Atlas Mountains. Another course that only opened in 2014, Royal Palm has a lovely setting and is an enjoyable option for both low and high handicappers. 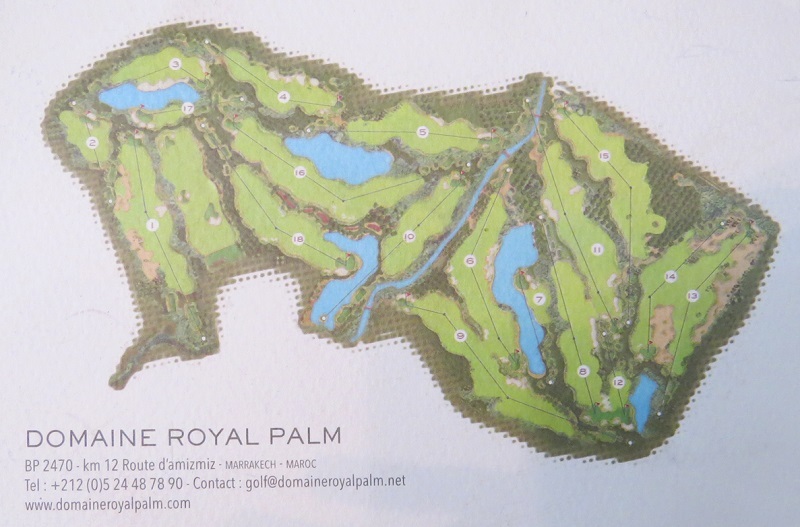 The golf course is on a very exclusive development with expensive villas and a 5 star hotel. Generous bunkers, water hazards and shaped fairways keep you thinking around the eighteen holes. The greens are very fast and there is water to be avoided on quite a few holes. The 9th hole is a monster 600 yard par 5!! 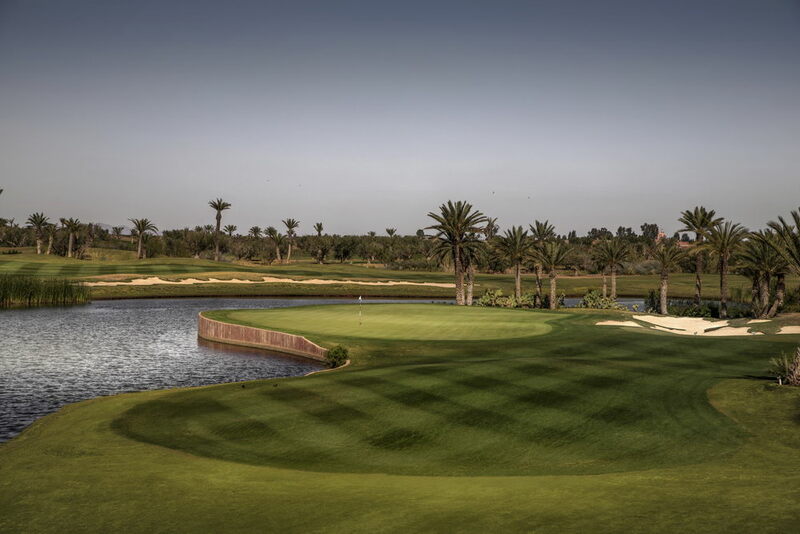 This course has become a must play course on trips to Marrakech particularly due to its exclusivity. There are harder courses in Marrakech however there are none better maintained.